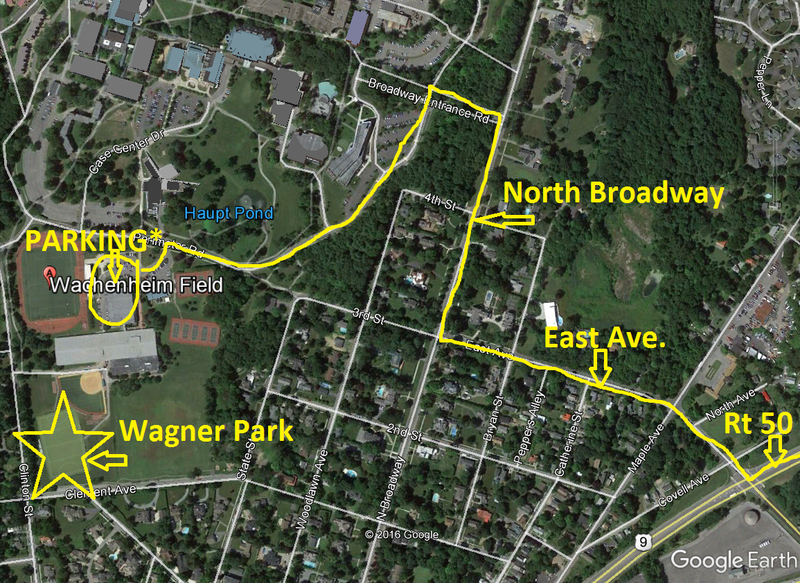 Below you will find the schedule to this Saturday’s 7v7 tournament at Skidmore College, hosted by Saratoga Field Hockey Booster Club as well as directions to the field. Parking is limited @ the lower field to a small parking lot and on street parking, you may want to park in the upper parking lot. NO CLEATS ARE ALLOWED ON THE ASTRO TURF FIELD!!!! JV players should arrive at the field, ready to go by 8:50 the latest so that we can hand out uniforms as well as warm-up – please allow time for parking. 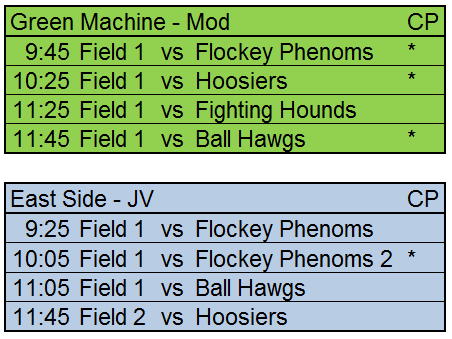 Modified player’s should arrive no later that 9:15, again leaving ample time to park. They should be on the field by 9:15. Varsity, you have plenty of time to sleep, player’s should arrive and be on the field ready to go by 12:30. I87 North to exit 15. Take a left off the exit onto Route 50 S.
After the Stewarts take a right onto East Ave.
Take a right onto North Broadway. 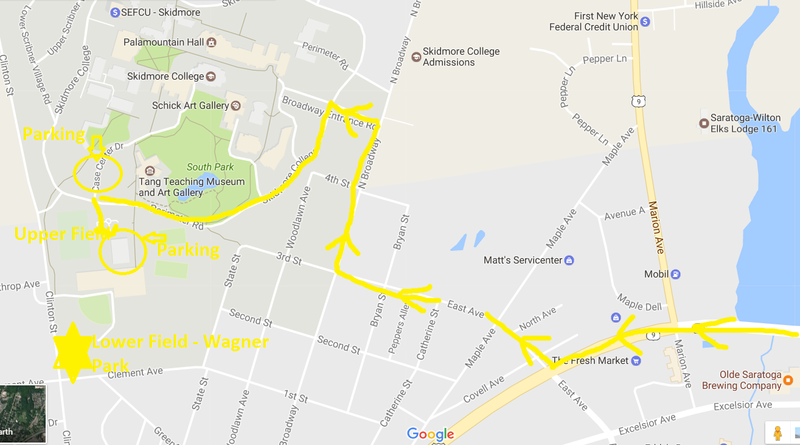 Left into Skidmore college, left toward Wachenheim Field (main athletic facility parking lots). ***To park at the lower field, you can enter into your GPS the intersection of Clement Ave. & Clinton Street, or while on East Ave., instead of taking a right onto Broadway, stay straight through the stop sign (stopping of course) and you will loop around to Clement Ave., take a right on Clement and you will see the field.